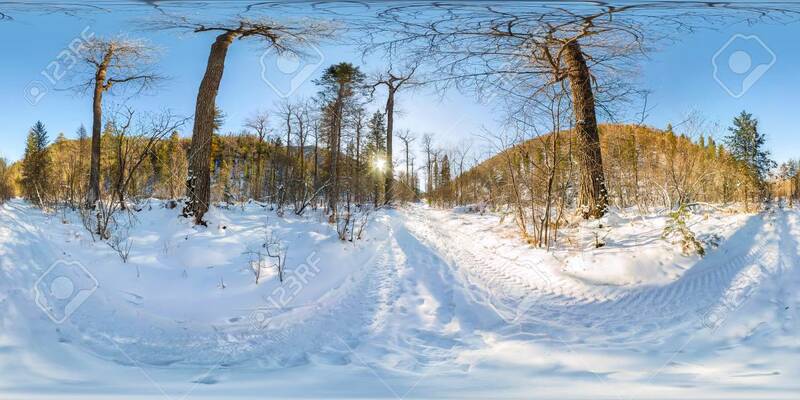 Road In The Winter Forest At Dawn. Spherical 360 VR 180 Panorama. Фотография, картинки, изображения и сток-фотография без роялти. Image 106485708. Фото со стока - Road in the winter forest at dawn. Spherical 360 VR 180 panorama. Road in the winter forest at dawn. Spherical 360 VR 180 panorama.